1. Mix the sour cream, mayonnaise, honey, vinegar and salt in a small bowl. 3. Combine the vegetables and add the dressing. 4. Toss well and cover with a lid. 5. Keep it in the fridge for a day or two to allow the flavors to blend. 6. Serve cold or at room temperature. 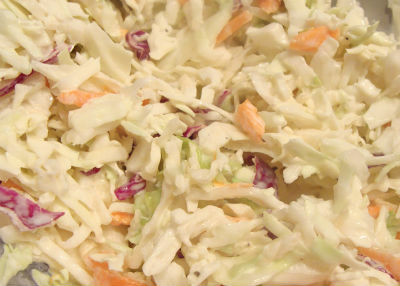 Feel free to comment or share your thoughts on this Creamy Cole Slaw Recipe from Awesome Cuisine.